Below is a list of Blackjack variations that are offered at different Online Casinos. These reviews will help you find your favourite Blackjack Game. 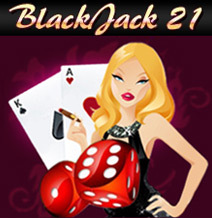 Spanish 21 Blackjack is brought to you by Microgaming, it is played with 8 decks of cards. These aren't your usual decks of cards as the 10's are removed from the deck leaving 48 cards in each deck. Blackjack Surrender is very similar to Blackjack but as the name suggests you are allowed to Surrender your hand. If at any time during the game you feel your hand is going to lose you may Surrender. Classic Blackjack was introduced to us by Playtech. In this game players may draw up to 9 extra cards, without going Bust, which would make a hand consisting of 11 cards. Dealer always has to hit on soft 17.